1. If you are not using it, switch it off! 2. 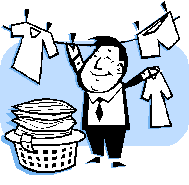 If the weather is nice, hang your washing outside instead of using the tumble dryer. 3. 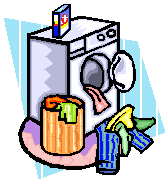 Wash your clothes at 30 degrees. 4. Use energy saving lightbulbs. 5. If you can't switch it off, put it on standby. 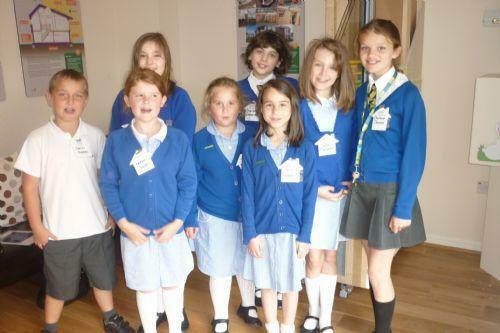 Our ECO councillors were given a fantastic opportunity to go and visit an ECO house in Coventry by one of our governors. 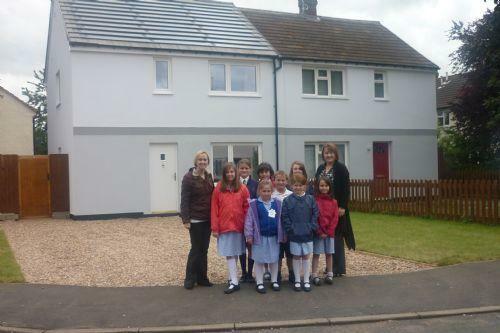 So, on 9th July 2012, our junior ECO councillors, Mrs Thorne and Mrs Edwards went to visit Orbit Housing Group. We had a really fun day but we also learned a lot about energy which is not only important to help us get our green flag award, but also it gave us an idea of how we can help our environment. We arrived at 10 o'clock and were met by Victoria who took us into the Passivhaus house that was made as an ECO house from scratch. The house was beautiful and felt really spacious due to the high ceilings! When we got into the lounge, it was really hot and we thought that the heating was on. We were told that it was hot because it was a south facing house, had large windows and had triple glazed windows to keep in the heat. We then had a tour of the rest of the house which consisted of a down stairs toilet, kitchen, 2 bedrooms and a bathroom. Caitlin was amazed by how high the ceilings were and thought you could put a triple bunk bed in there! 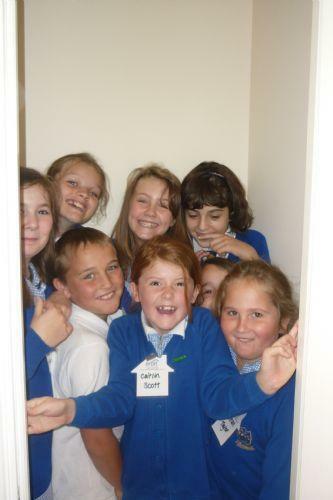 How many Eco Councillors can you fit in a cupboard?! After that, we went out into the garden and were shown that even with a small space; it is easy to grow your own herbs and vegetables. 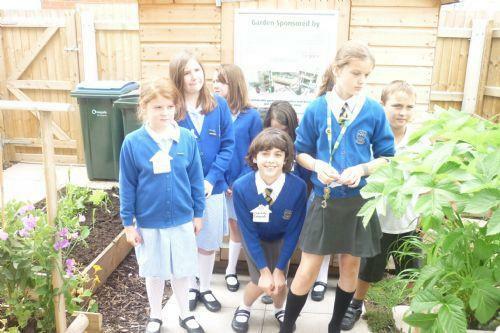 The councillors told them all about our ECO garden and what we grow and they were very impressed! We were even more impressed that they were growing grapes. Our next stop was to a house that had been converted into an energy saving house. The windows had been changed to triple glazing and they had added a wooden frame onto the house so that they could insulate the house better. They also had solar panelling on the roof to help generate electricity from light. We were amazed to find out that even if it is not sunny, they can still generate electricity which is a good job in this country! 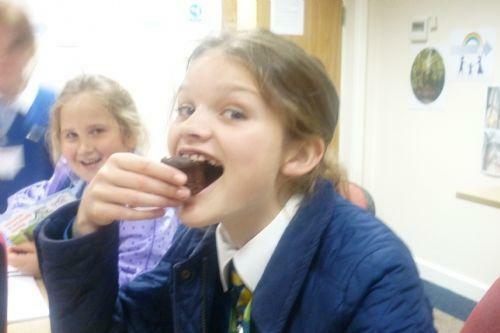 Our final stop was at their head office where we were greeted with muffins, strawberries and drinks! We had our lunch and then had a question and answer session with some of the people who worked on the houses. The ECO councillors asked some brilliant and well thought out questions! We really had a fantastic time and learned so much! We were even lucky enough to get a goody bag! 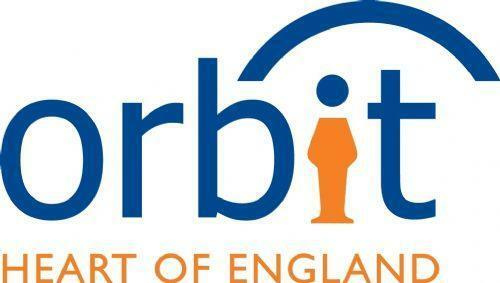 Thank you so much to the fantastic people at Orbit Housing Group who inspired us even more to help our environment!